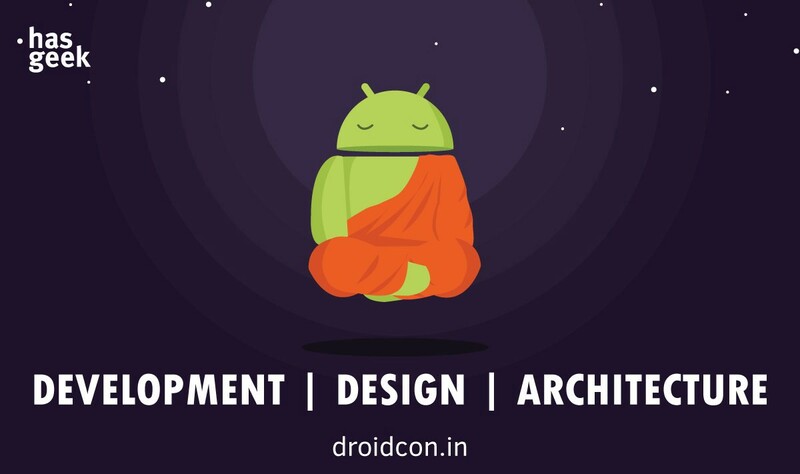 droidconIN is India's largest Android conference, and part of a worldwide series of conferences focused on the Android ecosystem. This year will be the 6th edition, and will take place on November 10th-11th, 2016 at the MLR Convention Centre, JP Nagar, Bangalore. In 2016, we are doubly-focused on core Android development, and the ecosystem of tools and frameworks around it. Every year, the Android ecosystem moves to something new and cutting edge. At times, it can be difficult to stay on top of things and decide which technologies are worth investing in for you and your team. We have a handpicked selection of topics and speakers who we believe are best positioned to help you navigate this ecosystem. How does Dropbox do Android development? What kind of processes, tools, and styles do they follow to develop, test, and ship updates? Piotr is coming down to India to tell you all about it. Are you considering React Native? Mario will talk about how Myntra uses React Native in production, and their learnings and insights from it. Perhaps the hottest tech in Android this year, Firebase. Soham shares his experience using it across a variety of apps talking about what it can or can't do, and when and where it makes sense for you to use it. Every year the Android ecosystem has new ideas on what patterns and architecture work best, iterating over ways to make development easier, more readable, faster, and less error prone. Over the last year, we've seen a major shift towards adopting some of the functional and reactive programming paradigms in Android. With the frameworks and patterns like RxJava, MVVM, and data-binding, bloated Activities and Fragments, AsyncTasks, and callbacks are a thing of the past. Are these paradigms for you? What kind of problems to they solve? Should you make the switch from what you currently use? What are the benefits? Do they actually help maintainability, testing, collaboration, etc? What kind of effort does it take to rewrite an app? Is it worth it? How does knowing all of this help tech teams to organize themselves better? Learn about the inner workings of Android, and how you can use them to your advantage. How do you make your app evolve with use? Could you tailor it to a user's age, gender, and habits? Faiz has some unconventional ideas on how you can embrace mutative design, and build a UI that is tailored to a user. Learn to extend Android's LayoutInflator, and plug in your custom views and attributes. What if you don't need XML Layouts anymore, but loaded everything by server-provided JSON? You can make all UI changes remotely! Learn about ConstraintLayouts, and how you can do away with all of those complex, nested and weighted LinearLayouts and RelativeLayouts. Get started with Android's NDK, and learn how to utilise C/C++ libraries inside your Android apps and gain a performance boost. We'll also cover a bunch of emerging tech and trends in the Android ecosystem this year. These will include things like Brillo and Weave for IoT devices, Android and Robotics, etc. Besides this, we also discuss Android's security architecture, Kotlin, Xamarin and many more.